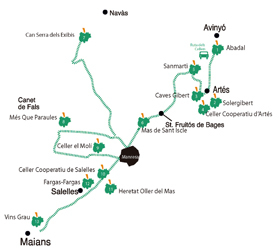 A car journey through the wineries of the Pla de Bages Denomination of Origin. Take advantage of the different wine discovery activities that each winery offers you. In each town or village, you will find choice restaurants where you can try the culinary delights of El Bages. 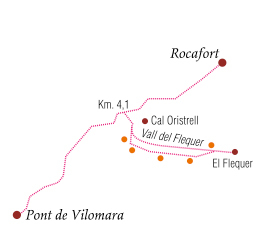 This is a new route that can be done on foot or by bicycle, where you will discover the old buildings of the wine world in the Valls del Montcau. description: Pla de Bages Origin Denomination wines. Regulatory board, varieties, wineries, news, image gallery and contact.